I was there. 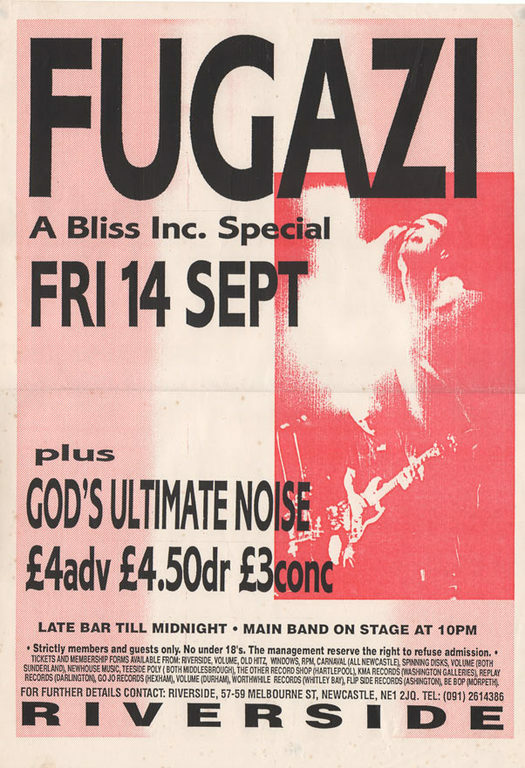 It was 22 years ago so I don't remember much apart from Ian Mackaye insisting to the lighting person they turn the stage lights off, and the band proceeding to play a very thrilling set of songs under minimum flourescent tube lighting, including a very extended jam on Shut the Door. A great selection of songs and a very solid performance all through-out. The Outro includes the song Bass by Soulside that was played at the venue after the show!